Removable Dentures - Jennifer A. Yue, D.D.S. We are happy to work with you and work within your parameters. There are times when a person is born with weaker teeth that result in tooth loss, or a person has gone through a personal or health-related crisis that results in tooth loss. Sometimes the person is not a candidate for implants and sometimes the person doesn’t want them. When multiple teeth are missing and when there is not enough solid tooth structure to build a fixed restoration such as a multi-unit bridge, one option is the removable partial denture. Removable dentures do take time to get used to and are not always tolerated well. There are different designs and materials to make this type of appliance, and it is very important to take the appliance out of the mouth before brushing the remaining teeth. It is also important to brush the appliance (inside and outside) to keep tartar from building up on it. Just as one removes shoes to allow the feet to relax and prevent athlete’s foot, leaving the removable partial denture out of the mouth at night allows the soft tissue to breath and reduces the chance of getting candida. A removable partial denture is almost always preferred over a complete denture, because the complete denture only has gum tissue to hold it in place. As the years go by, the gums become shallower–much like sand dunes that get walked on every day get shorter over time. 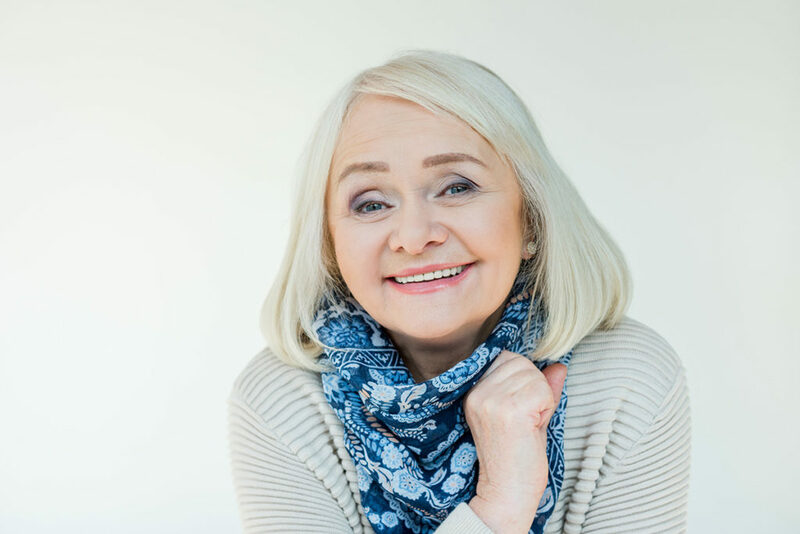 If a person is young when starting to wear dentures, there will come a time when the denture no longer is secure even with the help of a denture adhesive such as Fixadent. A denture reline can help to make the denture fit better without remaking the entire denture, but when security and stability are paramount, the use of implants can allow the denture to “snap” on, allowing the great retention desired. In addition to different kinds of materials used, there are different colors and sizes of gums and teeth available and the smile can be customized to add realism to the denture. Sometimes, for example, there may be a rotated or slightly flared tooth from the person’s original smile. Denture teeth can be rotated or slightly flared as well to give the person a more natural look. Denture teeth can also be positioned perfectly straight as well as long as there are no teeth from the counterpart that are in the way. Making a complete denture is more complicated than getting the correct size and color of teeth and gums. The height of the denture and where the teeth meet is determined by where the jaw is most comfortable. The jaw can move in different directions. This is why making complete dentures is a multi-visit process. After dentures are made, it is still important to have them adjusted and important to get the gums evaluated every year for the oral health and cancer screening. At the evaluation, the dentures can also be assessed and relined if necessary.